The Revealing of the Date of the Igniting of the Phoenix--America--and How it Will be Stopped. About a year ago God allowed me to see and experience various things that led me to believe that sometime in the future the evil ones were planning to detonate a nuclear bomb in an American city—Phoenix Arizona. I shared this information in two posts entitled The Next Big Event and The Next Big Event—Phoenix Confirmations I now believe that I know the planned date of this destruction. In this post I will summarize the findings and happenings of the first posts and then reveal the date of when I believe this attack is planned to occur and what can be done to stop it. As I was looking more closely at the line and what it hits in Washington, D.C., I zoomed in on a certain part and was startled by what I saw. From the view of the satellite I saw what looked to be a statue of a Phoenix bird! Clicking on the panoramic view of the statue I could see that it is the Bethune memorial statue pictured below—I assume the phoenix bird look was due to shadows cast by the statue. Looking at the statue gave me an eerie feeling. To me it looks like the people are dead--as if they were turned to charcoal--like they started to melt and then were burnt and became hardened in place, like what might happen during a nuclear blast. What did all these things say to me? How did this affect me? Realizing the United States--as the phoenix bird--is destined to "die" to usher in the New World Order, and realizing that the street layout of Washington, D.C. was of satanic design, and that we have a prominent luciferic line of Washington, D.C. that starts at a zero, goes near a statue that looks like a phoenix bird, but upon closer inspection looks like burnt people, then it goes through the Capital building and then hits Phoenix, Arizona--the sun related place that many have dreamed would be the target of a nuclear attack and bears the name of the ancient phoenix bird legend. I was brought to tears and called out to God to spare the righteous of the city. The night before posting most of the above I was sitting in my car waiting for someone, the car was off, and I was crying out to God about this post and asking him about the date, when I turned on my car, the odometer came on and caught my attention; it read 77755.5. At the time I wrote “what exactly that means I am not sure,” but I felt it was significant. He brought me to the only verse in the KJV containing the words "line" and "destroying." That is the basic story of what I found last year contained in the original posts linked above. Here are some other interesting things that I highlighted in the posts from last year. 2. On a random opening of scripture God took me to Ez 10:2, the only passage in the Bible regarding coals of fire being rained upon a city and it is the only verse in the KJV that contains the words; city, coal, and fire. 3. On another random opening of scripture God took me to Jer 18:7-12, a passage regarding why nations are judged. 4. And on yet another random opening of scripture God took me to Is 65, a passage regarding the righteous being protected during judgment. All of the above occurrences led me to believe that in the future the evil ones were indeed planning to detonate a nuclear bomb in an American city—Phoenix Arizona—to ignite the “Phoenix bird” America and bring her down so that America and the world could be born into the New World Order. That is what happened a year ago. At that time I had thought that the event might occur on 11/14/2010 or January 2011 but was not sure and obviously that did not occur. This brings us to the present; over the last year I have been on occasion praying about the meaning of the numbers 777555 that I believe that God gave me in relation to the date of the destruction of Phoenix, Arizona. In fact just the other day I prayed that if God showed me what the 777555 meant, I would release the info to the public. I recently became aware of a blog called http://nabiy4america.wordpress.com/ and I read some of his posts and noticed that he did a lot of work with numbers. So I emailed him and he gave me some info about the numbers, and he said that the 555 may have something to do with the date when I was shown the numbers. I was shown the numbers on 10/27/2010 at about 8PM EST and the info was posted the next day on 10/28. 10/27 8PM EST in UTC time is 10/28 and the info was posted on 10/28 so using 10/28/2010 and adding 555 days brings us to 5/5/2012 or realizing 2+0+1+2=5 a 5/5/5 date! 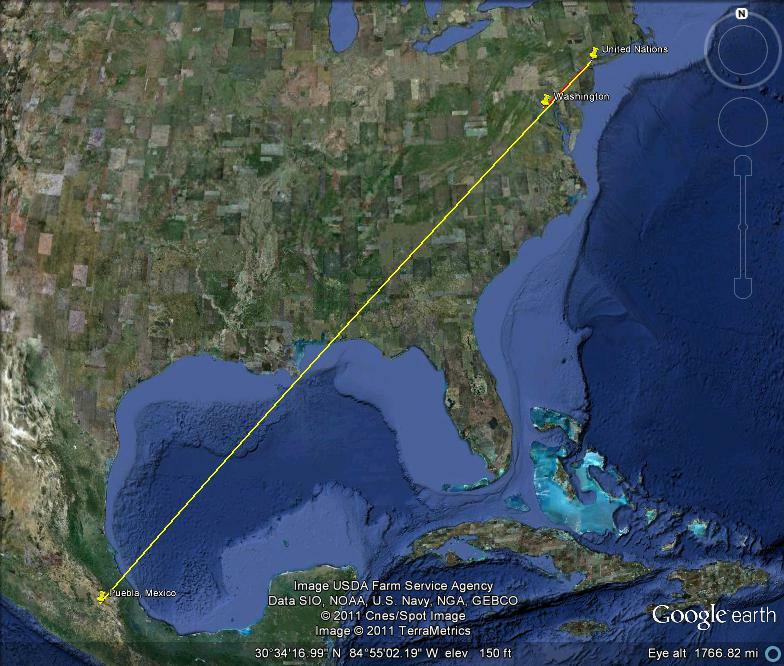 BTW; 10/28/1886 is when the statue of liberty was dedicated and the statue is 1862 nautical miles from Phoenix, Arizona. What happened in 1862? Is there anything else? 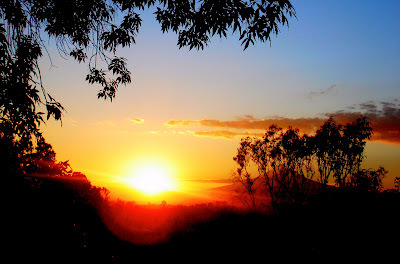 Yes, remember “they put clues everywhere.” Looking around the battle site of the Cinco de Mayo event there is a picture posted there called “Explosion Nuclear” It is a picture of a sunset that looks like a nuclear explosion. The picture is located next to the round portions of the fort. 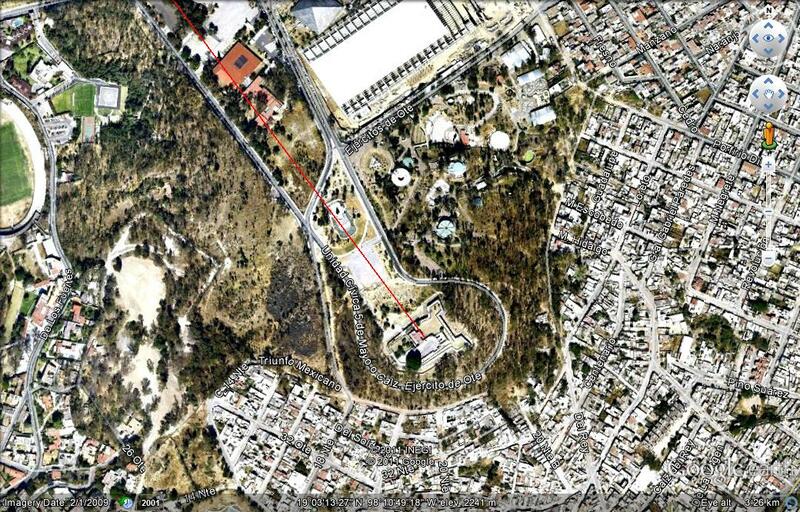 If you think of the fort as a compass with the top round portion as North (it is not actually situated that way) then the picture would appear due West. That is the same direction that Phoenix is from Washington D.C.—due West. I believe God showed me the 777555 in relation to the date of the destruction of Phoenix, Arizona. 10/28/2010 plus 555 days brings us to 5/5/2012 a 5/5/5 date. 5/5/2012 is Cinco de Mayo. A line from the battlefield associated with Cinco de Mayo to the United Nations is almost the same as the line of judgment and goes through the neighborhood that I live in—meaning burning and or born from ashes. At the Cinco de Mayo battlefield location in Puebla there is a picture entitled “Explosion Nuclear” situated due West of the fort, if the fort were aligned as a compass rose. 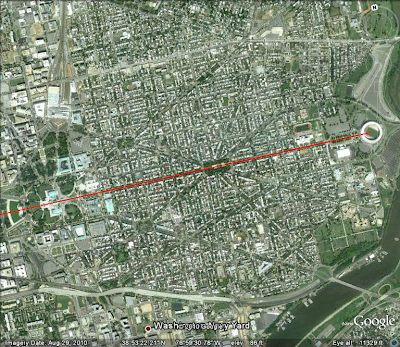 Phoenix is due West of Washington, D.C. 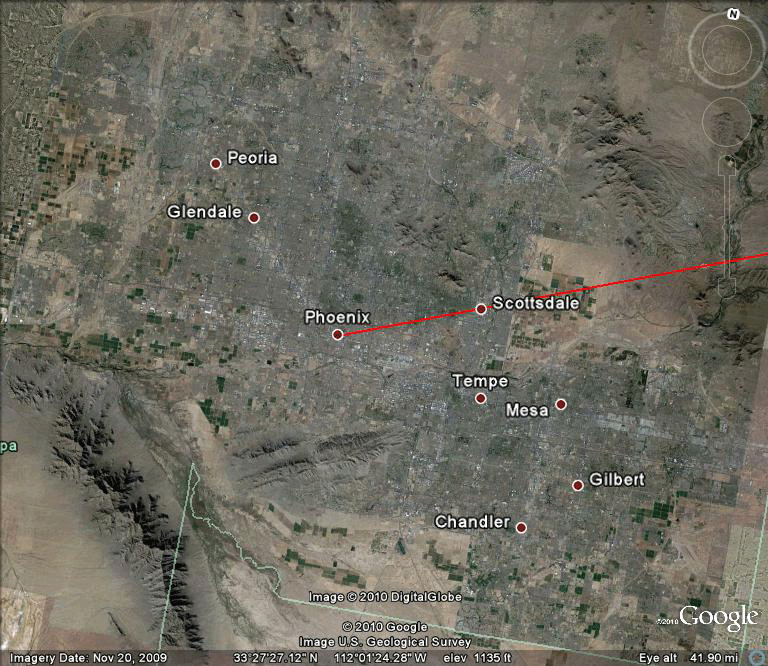 These facts have led me to believe that the planned date of the destruction of Phoenix Arizona is 5/5/2012. Is there anything else interesting about the day that might further corroborate this theory? Let’s look at what is being said about the day by non Christians. Here is another interesting occurrence that you may find a bit humorous or unconventional. While having some R and R with the kids playing the Wii, I asked God to let me get a score with a 555 on one of the games to confirm these things to me. I do not play often and was not trying to get that score, it just happened. And do you know what the 555th verse in the Bible is? Gen 22:7 And Isaac spake unto Abraham his father, and said, My father: and he said, Here am I, my son. And he said, Behold the fire and the wood: but where is the lamb for a burnt offering? The 555th verse talks about a burnt sacrifice—isn’t that what the phoenix bird legend speaks of? I also just remembered something else; last May I posted this “I was at a Church tonight and the guest preacher at the service raised his hand in the air saying "I believe that we are in the end times." Immediately after that with hand still raised there was a large clap of thunder--there were only rumblings prior to that and after too.” http://endtimesforecaster.blogspot.com/2011/05/gospel.html Guess where the guest preacher is from? Puebla, Mexico. 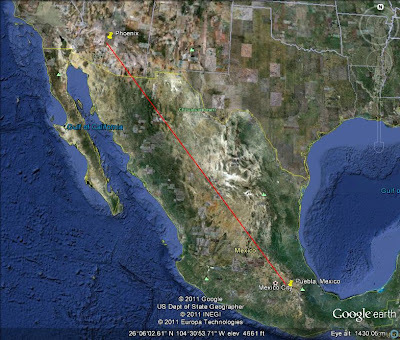 Therefore in light of all the information that I have seen I believe that the planned date of the destruction of Phoenix, Arizona is 5/5/2012. Also In light of all of this information it is obvious to me that satan has had this planned for a long time, and this event will be one of the primary events to destroy the United States and bring about the New World Order. Who the devil is planning to use to carry out the plan and how, I do not know. Will it be terrorists, China, Russia, or somebody else? I do not know. Note: Illuminati documents indicate that there will be a hair raising nuclear confrontation with North Korea toward the end. I would imagine that this would happen before WWIII, and if WWIII is to break out in the fall of 2012, then the North Korea event could happen in the near future and may be associated with this. But I also believe that this event may never happen, because, after coming to the realization of the date of the planned destruction, I asked God to give me a message from His Word about the matter. That night I randomly opened my Bible to 1 Sam 23; verse 2 stood out. Remember just because the evil ones have things planned does not mean that they have to occur. In Acts 12 Peter was imprisoned and sentenced to death but was delivered by the prayers of the saints. “The effectual fervent prayer of a righteous man availeth much.” James 5:16b. So again in light of all that I have been shown I believe that the planned date of the destruction of Phoenix, Arizona is 5/5/2012. But I also believe that the verse God took me to indicates the event may never happen—because the righteous can rescue it by praying for the city. I know that America as end times Babylon deserves judgment and will eventually be judged, but I also know that there are many righteous people in America and God is merciful and based on the verse God took me to, if we pray, I believe He will spare the city. 2He answered and said unto them, When it is evening, ye say, It will be fair weather: for the sky is red. 3And in the morning, It will be foul weather to day: for the sky is red and lowering. O ye hypocrites, ye can discern the face of the sky; but can ye not discern the signs of the times? These verses talk about discerning the “signs of the times,” which as the verse indicates some can, but some will not, as I am sure that some will dismiss this post as nonsense. But to me the “signs” are pointing to a nuclear destruction in Phoenix, Arizona on 5/5/2012. And if I am correct in my thinking; that this is the major event planned to destroy the Phoenix bird—America—then the public release of this information will not make the devil and his followers happy, which is one reason why just after posting this I have emailed this information to webmasters, news outlets, and government agencies. I have also added this information to my “5 Smooth Stones” packet. Here is a passage that I randomly turned to that I believe God gave me concerning my protection in all these matters. 10Fear thou not; for I am with thee: be not dismayed; for I am thy God: I will strengthen thee; yea, I will help thee; yea, I will uphold thee with the right hand of my righteousness. 11Behold, all they that were incensed against thee shall be ashamed and confounded: they shall be as nothing; and they that strive with thee shall perish. 12Thou shalt seek them, and shalt not find them, even them that contended with thee: they that war against thee shall be as nothing, and as a thing of nought. 13For I the LORD thy God will hold thy right hand, saying unto thee, Fear not; I will help thee. To the ones following satan who call themselves illumined, I believe that God gave me a message for you that I also randomly turned to. Is 5:20-24 Woe unto them that call evil good, and good evil; that put darkness for light, and light for darkness; that put bitter for sweet, and sweet for bitter! 21Woe unto them that are wise in their own eyes, and prudent in their own sight! 22Woe unto them that are mighty to drink wine, and men of strength to mingle strong drink: 23Which justify the wicked for reward, and take away the righteousness of the righteous from him! 24Therefore as the fire devoureth the stubble, and the flame consumeth the chaff, so their root shall be as rottenness, and their blossom shall go up as dust: because they have cast away the law of the LORD of hosts, and despised the word of the Holy One of Israel. I believe the devil has three choices at this time; 1. Go ahead with the plans. 2. Change the date. 3. Call it off. Regardless of what the devil decides to do, based on what God has shown me, I believe that if enough of us pray against these plans that God will save the city. 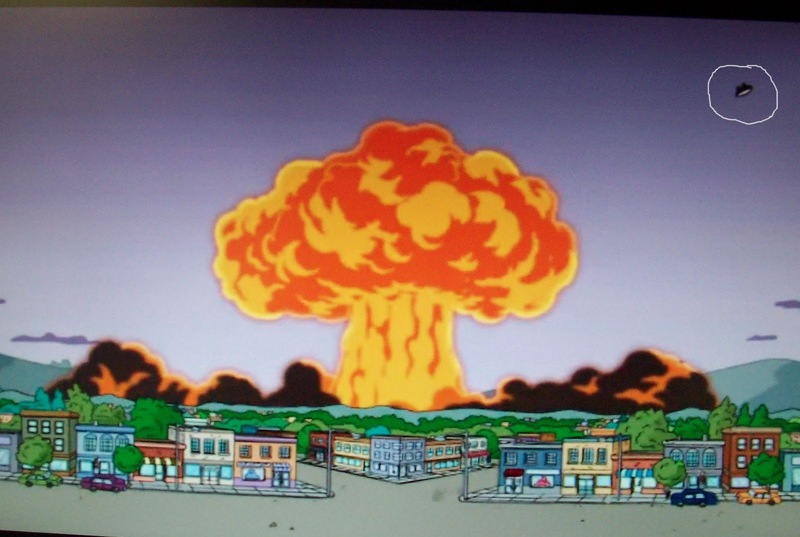 In regards to changing the date; there is a Homer Simpson episode where they showed a Southwestern city being blown up. In the show the bombers were counting down and they said “5, 4 no time for a full countdown,” and then they detonated the bomb. So if that was a clue to the timing they may try to do it earlier than originally planned. What date might they pick? How about 2/22/2012 or 3/22/2012. 222 is associated with the $1 and $100 dollar bill, and 322 is the skull and bones number. Or another possibility is around April 20—when Satanists have their fire sacrifice. April 20 was also a date on one of the calendars in the episode. In regards to one of those numbers/date I had an interesting occurrence. On 11/29/11—an 11/11/11 date—I was heading toward the highway, just before entering I noticed the price of gas at $3.22. Just moments after entering the highway the radio announcer stated that the Dow closed for the day at 11,555 and he then stated the time of day 5:55. BTW there are 44 days between 5/5/12 and 3/22/12. There are many secular forces who have also aligned themselves against satan and his minions but have not aligned themselves with the Lord Jesus Christ. From my correspondences with some of these people I have comprehended that they hold Christians and Christianity in disdain—that Christians are unenlightened and Christianity is an “evil religion.” I admit that “mainstream” Christianity is guilty of those things but not true Christianity—you are being deceived into turning from the truth. I asked God to give me a message for you, I randomly turned to Luke 13 and 14. Here is what stood out. Then said he unto him, A certain man made a great supper, and bade many: 17And sent his servant at supper time to say to them that were bidden, Come; for all things are now ready. 18And they all with one consent began to make excuse…For I say unto you, That none of those men which were bidden shall taste of my supper Luke 14:16-18. So to those who are fighting against evil, but have not embraced the Lord Jesus Christ, I implore you to reexamine true Christianity, for even though you are moral and are fighting against evil, you too must be saved. I told you what I believe the 555 means. How about the 777 (HT Carlos); without going into too much depth I believe the 777 has several meanings that relate to Christ and the 70th week, such as the 7 Seals, 7 Trumpets, and 7 Vials. So in relation to Phoenix, Arizona I believe that the 777 indicates that this event may be part the 70th week—which I believe may have started on 11/10/2009. After writing most of the above I prayed and asked God to show me something that might tie everything together—so that the information might be more convincing to those who might be skeptical about these matters and not heed “the signs.” God brought me back to the Homer Simpson video mentioned above. 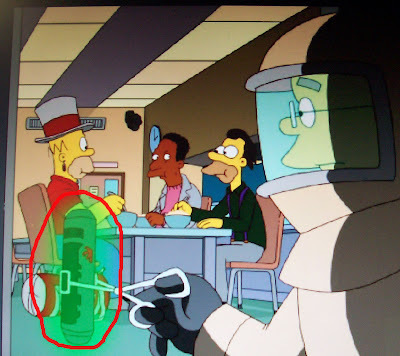 First, let me remind you that 9/11 was encoded in a Homer Simpson video before it happened; remember “they put clues everywhere.” Second, I had a hard time finding the bomb detonation episode, for many postings of it were taken down. I did find one posting of it and after viewing it and taking some of the information and recalculating some things, I was in a stupor of amazement. Here is a link to the one I viewed—although I do not agree with his conclusion and all his reasoning, it gave me valuable clues. http://www.youtube.com/watch?v=yqDmPUc-vlY&feature=related You can also purchase the whole episode at Amazon.com. The title of the bomb episode is “The Surveil with Love.” The word surveil means surveillance. The episode was from season 21, episode 20, which aired on May 2, 2010. In the episode a bomb containing plutonium is detonated. The explosion looks like a nuclear bomb going off that sends a clock flying through the air. Those are the facts; here is my analysis. I believe the time of 5:55 not only points to the date of 5/5/2012—the next big event against the United States, as explained in the first part of this post, but also connects with the numbers God showed me, 777555. The clock turned upside down points to 9/11/01—the first big event against the United States. The amount of time between 9/11/01 and 5/5/2012 is 555 weeks (rounded down). 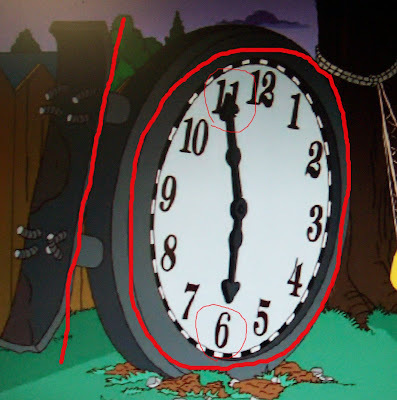 So I believe that the clock time of 5:55 not only points to 5/5/2012 but also points to the number of weeks between the first big event—9/11 and the next big event against the United States—a nuclear detonation. 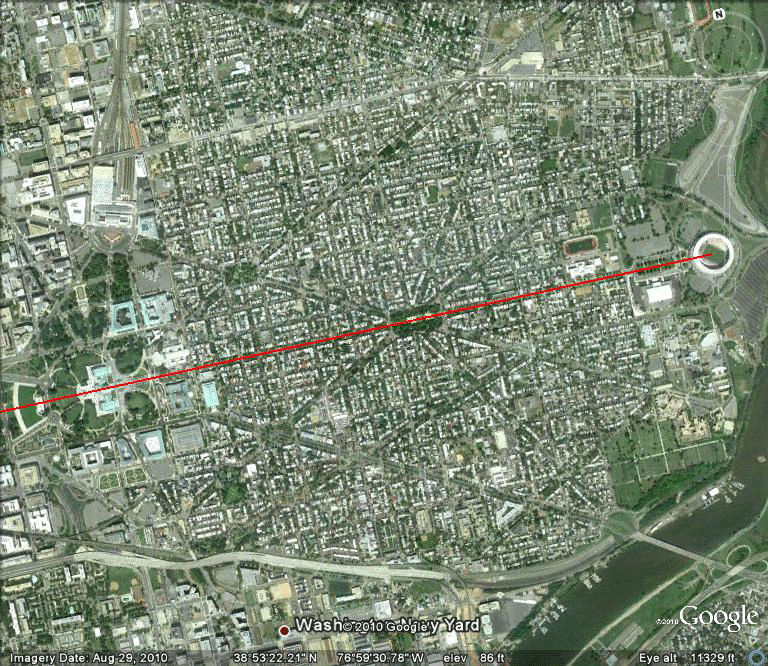 BTW; the satanic death line from Washington to Phoenix goes past the Washington Monument which is 555 ft tall. 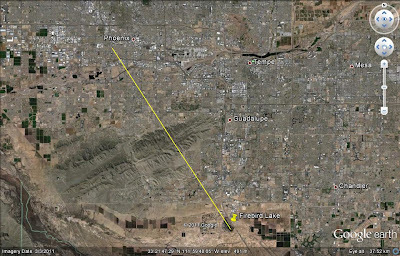 So there we have connections with; 9/11—first big event/implying next big event nuclear explosion in Phoenix, Washington Phoenix death line, 555, and 5/5/2012. Here is another connection, in the countdown the detonator says the numbers 5,4. What comes after 5/4? 5/5. The season and episode digits; 21 and 20 can be combined to form 2012. And yet another connection; the hands on the clock pointed to 11 and 6 right side up and 9 and 11 upside down. Let’s combine the numbers and add them together 116 + 911 = 1027. Let’s use those numbers as month and day, and the clock and mounting bracket as the year; that gives the date of 10/27/10. 10/27/10 plus 555 days brings us to 5/4/2012, the day in the countdown, or if you use exclusive counting 5/5/2012. 10/27/10 is also the day God showed me the 777555 numbers. Here is something else; the number across from Homer’s eyes is 2, 2 x 555 = 1110. The number of black and white spaces on the clock between the 2 hands going clockwise from the minutes to the hour, not counting the spaces the hands are pointing to, is 33. 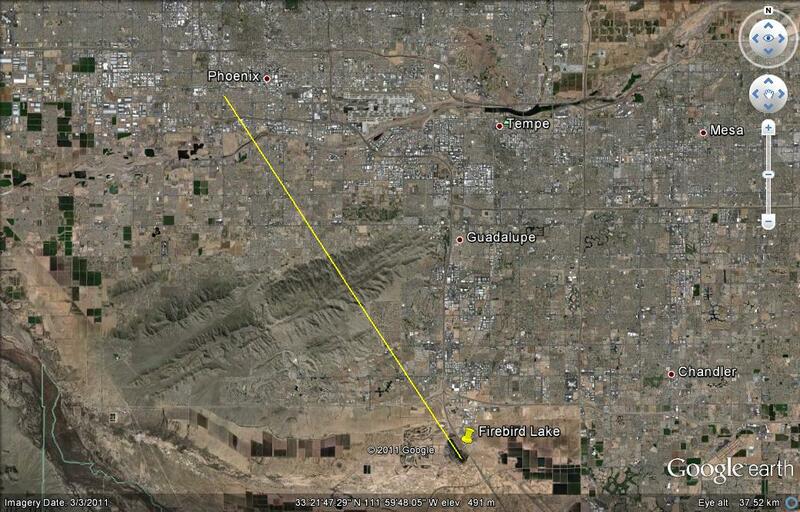 Part of Phoenix is at latitude and longitude of 33N and 111W. BTW there are only 58 black and white marks on the clock. If you notice 2 of the black marks that are next to the 10 are bigger than the rest-giving the appearance of 3 ones and a zero, a 1110. The number spaces between the 11 and 6 going the other way, which includes the 2 long ones, is 23. Taking the long ones as an 11, and using the number of spaces, 23, gives us an 11/23, the date I have calculated in 2012 as the possible start of WWIII. The amount of degrees between the 11 and 6 is 150 degrees. 5/5/1862—the cinco de Mayo event date-- plus 150 years brings us to 5/5/2012, the 5/5/5 date. 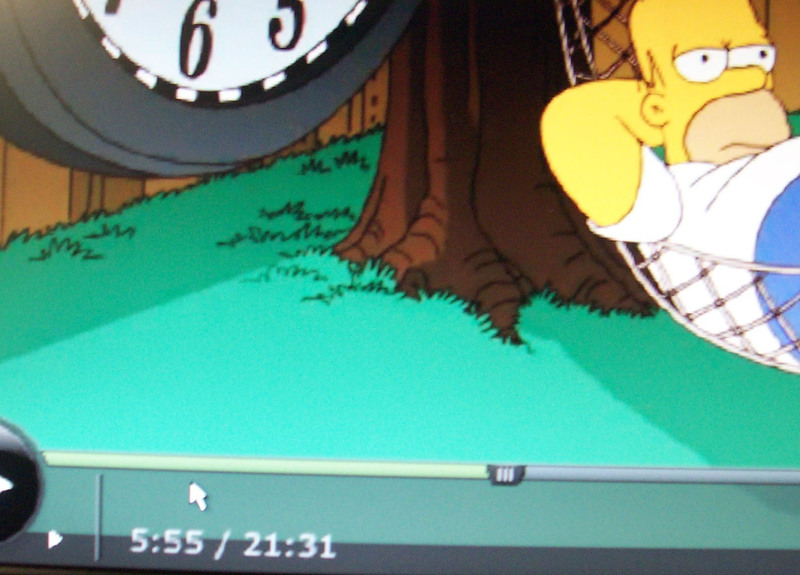 Guess at what time in the episode the clock flies into the scene? 5:55. 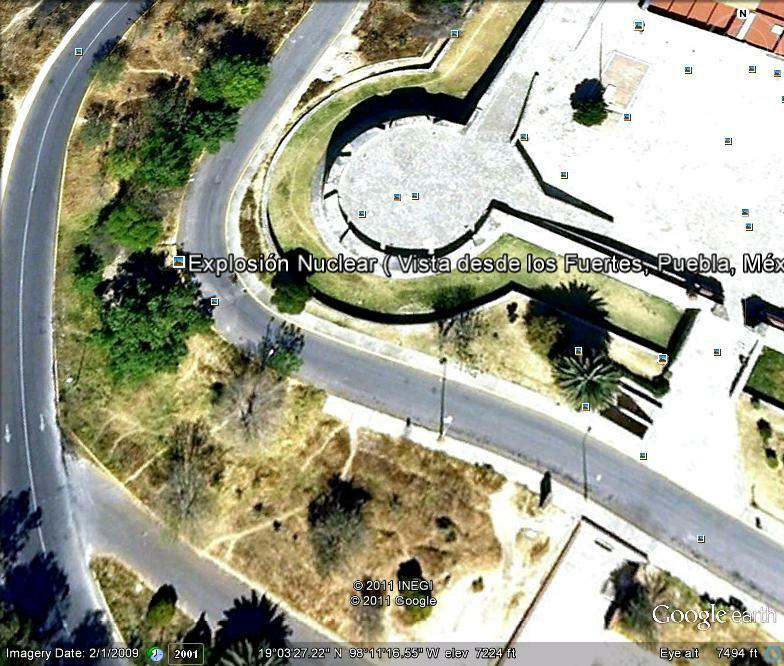 In the explosion scene there are roads that form a V. The explosion is centered between the V. As already mentioned above there is a V at Washington in which the death line goes through the middle of (pictured at beginning of post), there is also a V at the Fort in Puebla, that a line to Phoenix goes through the middle of and is at 322 degrees. So we have 2 related Vs pointing to Phoenix and connecting with the video. Also V in roman numerals is 5, so 2 Vs give a 5 and 5, or 5/5. The date the show aired was 5/2/2010 or 5/2+2+0+1+0 is another 5/5. The episode also features a plutonium capsule. 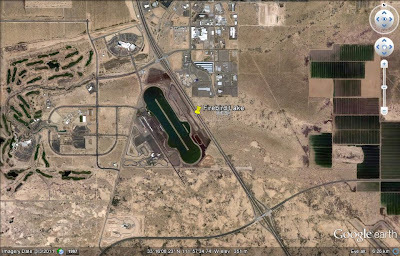 There is an odd shaped lake southeast of Phoenix, called Firebird Lake, which has a similar shape to the plutonium capsule. The middle line of the lake points to Phoenix. If you look at the lake closer up you will see that it is green, so is the capsule, remember “they put clues everywhere.” Anyone recognize the symbols on the capsule? Are you in a stupor of amazement yet? Not that I would put any faith in a Homer Simpson video, but having already been convinced of the date and place of the next big event, God drawing my attention to this video provided an absolute confirmation and left me in a surreal state of mind. It doesn’t end there; In my hearing a child I know was handed a dollar bill and they said “look there is the eye that is in National Treasure.” When I heard that I felt impressed by God that I should check the dollar bill for the date. Amidst many distractions I began searching with numbers and facts from past research that I did with the dollar bill. I came up with nothing. I had pretty much given up on it until I emptied my pockets one night recently and I heard the sound of silver in my change. For times sake I do not want to go too much into detail about 19.47, 222 and 2/22/2010 but I think its importance will become clear. If we start with the date the Illuminati founded their plan in regards to the United States—5/1/1776 and add 19.47 x 12.121862 (Remember 1862 is the date of cinco d Mayo) = 236.01265 years = 236 years and 4 days we come to the date of 5/5/2012. Here is something else; If we take the time on the clock of the $100 dollar bill--that many think is an encoding relating to the destruction of the United States--2:22 as 2 years 2 months and 2 weeks and add it inclusively to 2/22/2010—the date from the dollar bill it brings us to 5/5/2012. In light of all of this I believe that the next Big event planned by the evil ones will be to set the Phoenix bird—the United States—on fire via a nuclear detonation in the place in America named after the Phoenix bird legend--Phoenix, Arizona. I believe that the primary planned date of this destruction is 5/5/2012. How ironic that their planned date of destruction is on a holiday celebrating the last foreign aggressor on American soil. Based on what God showed me I also believe that this event will be stopped by the prayers of God’s people. Of course you are free to believe as you choose, but if you believe as I do, then I ask you to please distribute this information widely, and get as many people as possible to pray against this planned evil action, so that the city will be spared. Also pray that God would be glorified and many would be brought to Salvation. I take no credit for any of these findings, it was God that showed me these things, I have no ability in myself to discover such things. The battle lines are drawn; let’s show the world the power of God and save the city by God’s power through prayer. And to start things off; I am choosing to release this post on 12/31/2011 at 6:02 EST which is 5 days, 5 hours, and 5 minutes past the 777th minute of the 777th day of the 70th week, that is assuming the 70th week started on 11/10/2009. 12/31/11 is also 5 months and 5 days until 5/5/2012--Christians can use numbers too, and so does God, including 555--The word Christ appears in the KJV Bible 555 times. The 555th appearance of the word Christ is contained in the last verse of the Bible--The grace of our Lord Jesus Christ be with you all. Amen. Rev 22:21. Are you ready for the End Times? Read The Coming Epiphany today for FREE! Brother William, your courage is commendable and what the Lord has revealed to you is astounding. Thanks for your obedience to our Father in publishing this most urgent material. The documentation and confirmations are excellent, and therefore I have little doubt that “they” are indeed planning such an event for this particular date. The date which the Lord has revealed to you is a spot-on match to a future date which He has shown me, as well, further confirming the validity of the 5/5/2012 date in my mind. Now that you have exposed their vile plans, there is truly a substantial chance that they will “pull back” instead of “pulling the trigger”. We must pray diligently against these vile plans. I want to point out a couple of additional things. 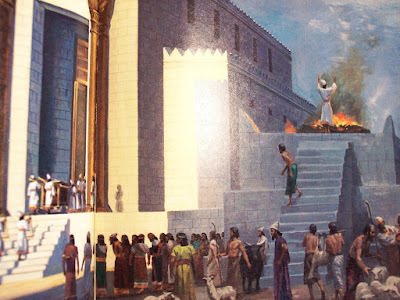 A major event in Phoenix would seem to qualify for the West Coast/Western USA judgment that many prophetic types are expecting, myself included, as occurring prior to the final and complete fall of America Babylon. The best known of these visions is likely Michael Boldea’s “The Eagle and the Serpents”. Also, the “777” is such a powerful number, one which clearly points to end times major events, as you alluded to. Although most of the connections have been made with the 555 portion of the number God revealed to you, in my opinion the 777 in front of this acts to greatly “strengthen” the message and warning. 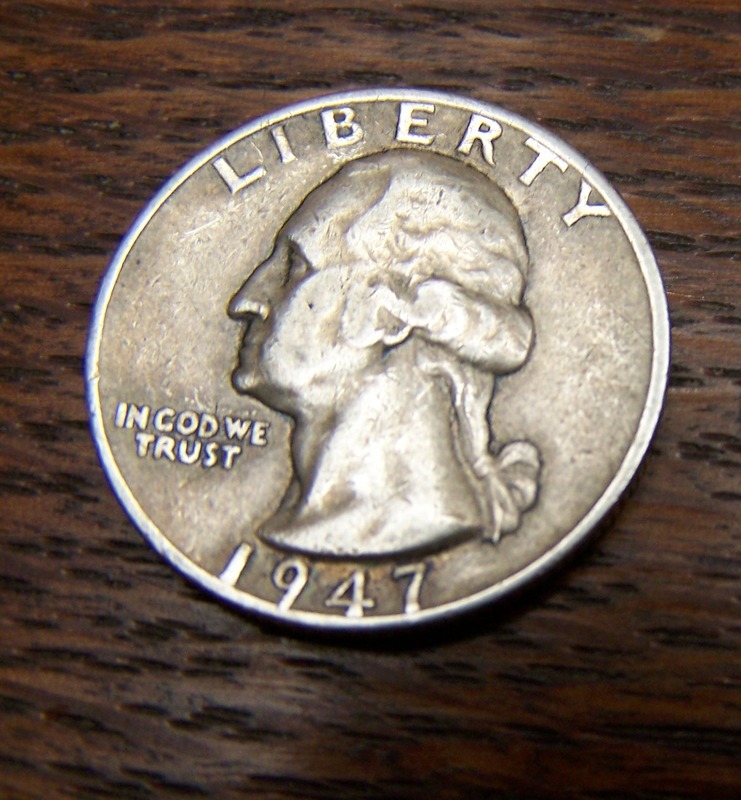 Finally, the 1947 date of the quarter is also astounding in that this was the year of UN Resolution 181 (November 29, 1947), which dealt with the establishment of the state of Israel the following year, and many believe has profound implications for the 70th Week, which would support your view that we are already in this final period of time. Praise God for His amazing ways, and thank-you William, again, for your obedience to Him. A most essential article, and perfectly timed. William, thanks so much for your diligent efforts and for posting this. I will be giving this some consideration. 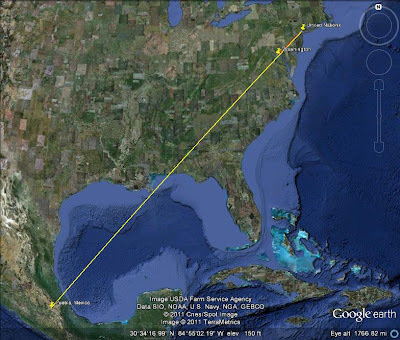 Have you ever thought of Phoenix not as a bird but Phoenix of(space laser program) which could destroy target as mentioned in a Movie Airport 2011.
i really like your work, but numerology stuff is most of the time total BS, at least when it reaches the extent of rearranging numbers to proposed dates. there's no rules, no pattern! All Info is rearranged and rearranged til something comes out. PS: is in the bible ever any prophecy or god-shown future event that includes such an extent of numerology with proposed dates?? i don't think so. I am not into numerology. Yes, there are lots of numbers and dates in the scripture. For example the exact ending of the 69 weeks when Jesu had his triumphal entry, the 2520 days of the 70th week, the 1260, days, the aligning of feasts on particular days in regards to prophetic events. As far as the Phoenix code it is not directly in scripture--it is the plans of evil men and satan. They are the ones that are using numerology. I believe God showed me what they were planning so we can pray against it and stop it. If a comment adheres to the guidelines listed in the sidebar then I will publish it. Weeks were "determined". That week of years began on September 15, 1947, with the first 'Shavoo'ot' falling on June 13, 1948. Daniel 9:24-27 is a '62' + '7' + '1' totaling 70 Shavoo'ots with the '70th' falling in the Millennium on May 31, 2017. Here are the last '7' + '1' weeks. I like yourself, William am looking at 2012 for the "Day of Islam" event and I believe Isaiah 7:8b..."within another 65 years Ephraim/Samaria (or the United States/Washington DC) will be shatterd so that it is no longer a people". Notice the 65th week runs between 9-29-2011 and 9-17-2012. => on 2012/12/12 something VERY evil is gonna happen. so much 666 associated with 777555.
see, if you don't use any underlying pattern or method, you can match up pretty much everything from a few numbers and random other information. Yes numbers can randomly come out to look like something is going on. But when the odds of a lot of differing events exceed chance in the universe then they are saying something. In regards to the things written in The Phoenix Code; There are more things than just numbers. There are lines, events, the homer simpson episode, the coins, the random passages that all are related and point to one event. So there is a big difference between a few random number occurences and what has been posted above. BTW 111, 222, 555, 666, 777 and other numbers are all encoded on the dollar bill. At the risk of seeming naive, I have to ask: If this "event" would bring about the "new world order", why try to prevent it? Wouldn't the suffering of the world then end? Why not welcome this unpleasant and scary, nevertheless overall beneficial, catalyst? And, if the "evil" ones were to do something to facilitate the end of all suffering in the world, and cooperate with God's loving plans, how could they be evil? It seems to me that anyone who believes this theory (and, as a good Christian, has compassion for others) would immediately take a flight to Phoenix and make sure everyone hears about the whole thing, so that the ones who want to avoid it can make other plans for the Spring, all the while raising funds to re-locate those who wanted to leave, but lacked funds. Unfortunately you have been deceived into thinking that the coming New World Order is a good thing. How could anything controlled by satan—who will rule the world via the New World Order through the antichrist—be good? And how will they establish the New World Order? Via WWIII and other events, resulting in the death of about 1.75 billion. So the New World Order will not end suffering it will accelerate it greatly. I have placed the information on the web for all to see, so what would going to Phoenix accomplish? People can read the info and make their own decisions. Besides, I believe that God has already shown me that the city will be spared, and I believe it will be the prayers of the saints that are the catalyst to sparing the city. ON THE DATE(S) SUGGESTED ABOVE OR ANY OTHER TIME. NO PERMISSION IS GIVEN FOR SUCH UNDER UNIVERSAL LAW. IN THE NAME OF AWAKE HUMANS, EL SURYA,RAGUEL,JESUS CHRIST AND GOD, PRIME BEING, SO THIS PERMI8SION DENIAL IS SO. If the plans of the evil ones are stopped, and I believe that they will be, it will be by God's power and intervention. That is, God the Father, the Son, and the Holy Spirit--the creator God of the Holy Bible. I believe that He will act in response to the prayers of the righteous and not by your say so. He may use a human entity like the FBI or by a miracle. I suspect that the entities that you are hearing from that are telling you these things have alien/ufo connections. Let me put it bluntly aliens are demons. So if that is who you are hearing from then you are being deceived. you have to understand how difficult it is to accept your "numerology" analysis at face value. not knowing you and the cyborgian nature of the net don't help. i glanced thru some of the comments and saw that you were not into numerology, good. i read a couple of the posts, and really like what you have to say. you dont sound like a jim jones or sri guru, so that helps. how do i know you are real, and not some one off base? please forgive the presumptions, but this 2012, and i've lived thru jim jones, rajneeshpuram ,heavens gate i never joined any of those outfits, merely sitting on the sidelines, watching this fad and that one come and go. so, i came to your website thru another by a link, inrigued by your phoenix code analysis. very leery of "prognosticaters" having seen and heard of so many in life, please don't be offended. if God Himself has blessed you with this knowledge, praise His Name, if not, then it will be seen for what it is. but you know this. thank you for being aware enough to warn us. All I can tell you is what I found and what happened to me. All of what I have been shown leads me to believe that the evil ones planned event is 5/5. I also believe that it will be stopped. What more can I tell you? The rest is up to you to decide. But I do know this for sure; WWIII, famine, economic collapse, pandemics, the antichrist and the mark of the beast will happen--the Bible predicts it-- and I belive it could be in the near future. 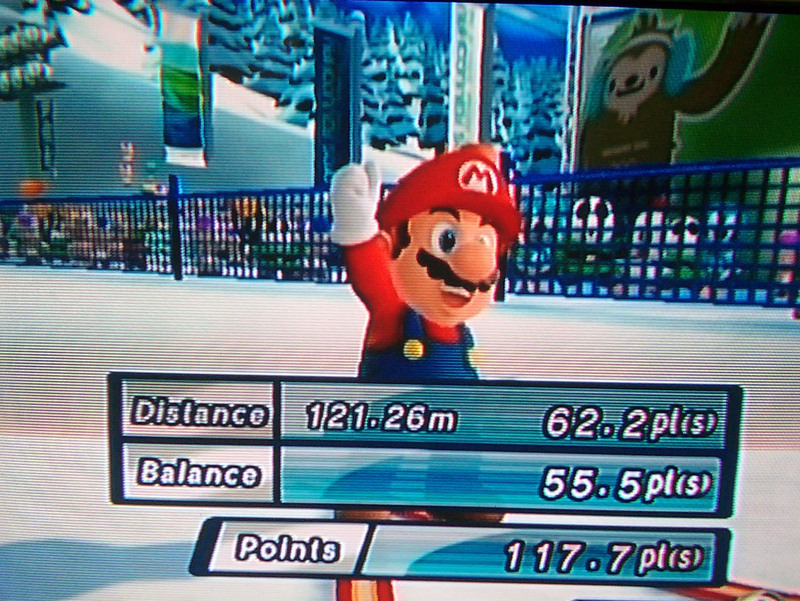 With regards to the point totals on the Wii game. The bottom total was 117.7 points. The number of sailors that died on the USS Arizona at Pearl Harbour was 1177. WOW! THX for the info, I was not aware of that--pretty amazing to say the least. What nonsense is this. i don't believe your prophecy. May 5th. will come and go and nothing will happen. what does Cinco de mayo have to do with the United States. Sure it occurred in 1862, but that wasn't the year that started the North to win the Civil War. That year the North was losing. They lost Shiloh, Anteitem, and other battles. It wasn't until Gettysburg in 1863 that the North started to win. It was actually the victory that the north had at Gettysburg in 1863 that gave the north the victory of the Civil War. Not Cinco de Mayo in 1862. I am not prophesying nor am I predicting anything. I am merely stating that I believe that evil forces have an event planned for that day. I also believe that it will be stopped. In regards to Cinco de Mayo--it was the last time a FOREIGN agressor acted on North American soil. That battle helped the North eventually win the war. Looks like you were very wrong about this...false prophets like you, usually are exposed for the frauds they are, when their prophecies have no merits. Thanks for playing anyway. I am not a prophet and do not make predictions. If you can read you will see that I said that I believed evil people had a major event planned for that day. I also stated that I believed it would be stopped, postponed, or called off. So it looks like you are very wrong about this and it looks like your words have no merit. So what are you? Thanks for playing anyway. There is a book which was just published in October I recommend reading "The Most Dangerous Book in the World" by S.K. Bain. He states Phoenix will be nuked at 8:15am at the AZ Capital Bldg. on 12-25-12 to make it a black Christmas. 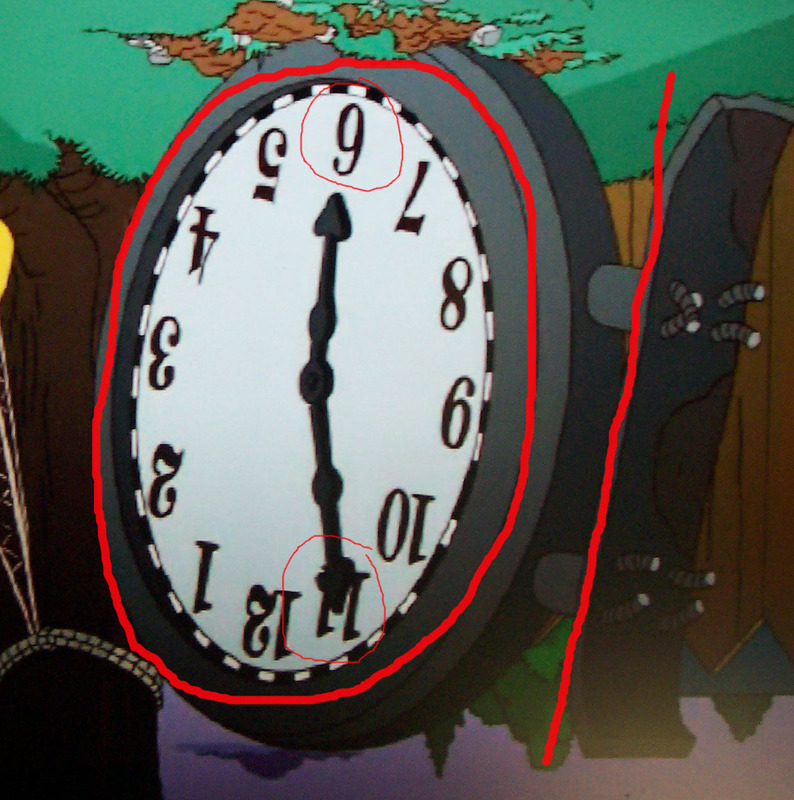 If you turn the clock upside down (numbers on face read 12:25!). There is still a possibility of 12-21-12 as it is a cult day containing cult numbers as well. Please warn family & friends in Phoenix to get out 50+ miles from the heart of the city. I informed a friend at the FBI in Seattle of the book and other pertinent info a week ago. Hopefully they can stop it unlike 9 11 they failed to prevent!!! THX for your info. I am convinced that Phoenix will one day suffer a nuclear detonation. I was led to believe that 5/5/12 was the original day but also that it would be stopped or postponed. Why does he think it will be 12/25/12? 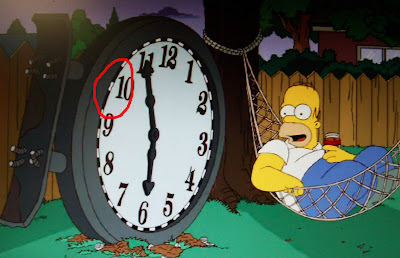 If you take the simpson clock upside down and and put 12 at the top like any normal clock, you have 12:25. 12/25 which is Christmas day. This is really bizarre as I too have had prophetic dreams of a nuclear explosion in Phoenix, Arizona. So much has been happening on the world stage and Obama just said in a press conference that his biggest fear was a nuke going off in Manhattan. It reminded me of the dreams and so I felt compelled to Google "prophetic dreams of a nuclear explosion in Phoenix". To my surprise I was not the only one who has experienced this phenomena. In my dream I was with a woman and we pulled up to what appeared to be Papago Park and got out of the car. As we were standing there an extremely large explosion went off in the distance and a wall of fire came rushing towards us. We knew this was the end. We held hands and simply let go accepting our fate as the fire consumed us almost instantly. I woke up in a sweat and my heart racing. I was so grateful to be alive as this dream so very real in every sense. I've since had a dream of war on our soil and I was on foot crossing the desert amongst military tanks and personnel when I witnessed the four horseman. This dream was also prophetic in nature. What does all this mean? It was so clear, so real that I can not help but wonder their validity seeing as how we're on the brink of WW3, a very real nuclear threat. I pray it isn't so, but if this is the end, I pray each and everyone of us. Times are changing. Thanks for sharing your dreams. WWIII is coming and the USA and other nations will suffer--1/4 of the world's population will die. The important thing is to be spiritually prepared for death through the shed blood of Jesus--that removes fear. I have not had a dream but A VISION! I live in Tempe, and I believe it was probably 2011, I was driving home on the freeway from a friends house in Phoenix and I got a very vivid picture of a mushroom cloud and the sky lighting up in my head. I even remember driving faster as this was not a dream and I was trying to out run the shock wave coming from the intial explosion. I remember looking around to see exactly where I was at, and I was no joke near Papago park(keep in mind I am NOT the above poster that mentioned their dream with Papago Park in it). I have never had a thought/vision like that out of nowhere, and I remember even saying out loud to myself "That was weird". Fast forward to this year, one day I'm at a friends house in phx same friend I had left house before that vision years earlier. And We are in his backyard and I'm looking at his trash can with the phx logo, and from the angle I was looking at it, the logo was inverted upside down. It hit me and I remembered the vision clearly. The phx logo when inverted is a MUSHROOM CLOUD WITH A SMALL DOT AS THE EYE BEING THE NUKE! 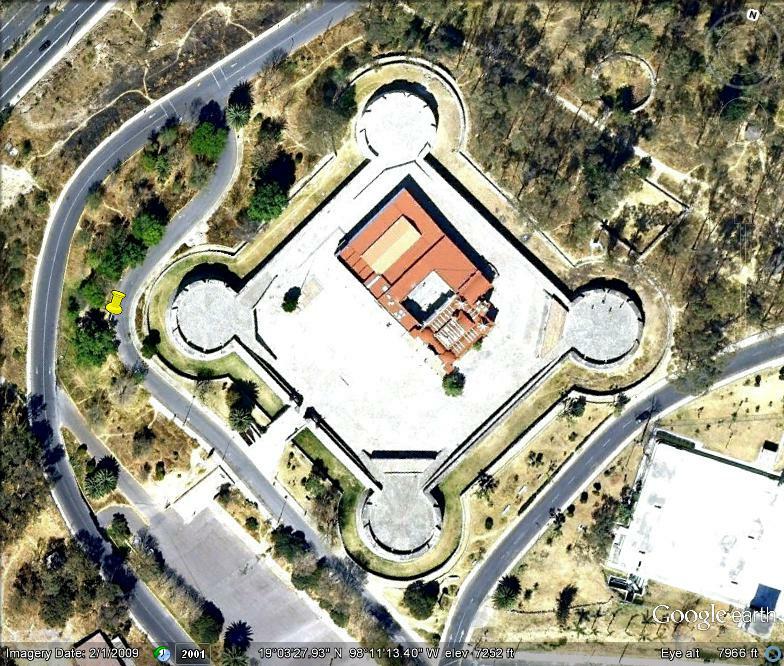 Look at it, it also CLEARLY has 666 encoded into the design. Isaiah 29:15-16 "15 Those who try to hide their plans from the Lord are doomed! They carry out their schemes in secret and think no one will see them or know what they are doing. 16 They turn everything upside down. Which is more important, the potter or the clay? Can something you have made say, “You didn't make me”? Or can it say, “You don't know what you are doing”?" Also did you see the phoenix ritualistic garbage they did at the 2012 Olympics? I'm shocked finding more people have dreamed this and had visions. The economist magazine. Phoenix currency will begin at 2018.so nuke war at this year. The cover may represent the fiat currencies of the world collapsing, if so that is seal 3 which is preceded by seal 2 and WW3.